CORRECTION: A previous version of this article incorrectly referred to $138 million in advance procurement funding as going towards the T-AO(X) fleet oiler replacement program. That funding supports the Moored Training Ship program instead. The reference has been deleted. The House Appropriations defense subcommittee released its Fiscal Year 2016 funding bill today, making some trims to Navy shipbuilding programs but adding in funding for seven EA-18G Growlers and an Afloat Forward Staging Base. The appropriations bills provide funding, whereas the armed services committees give authorization to spend money. In many cases, the House Armed Services Committee (HASC) authorized funding for shipbuilding programs at the same level the Navy requested, but the House Appropriations defense subcommittee (HAC-D) provided slightly lower levels. For the Ford-class aircraft carrier program, HAC-D gave $1.56 billion compared to the requested $1.63 billion. For carrier refueling and complex overhaul, the subcommittee trimmed the Navy’s request of $678 million to only $638 million. 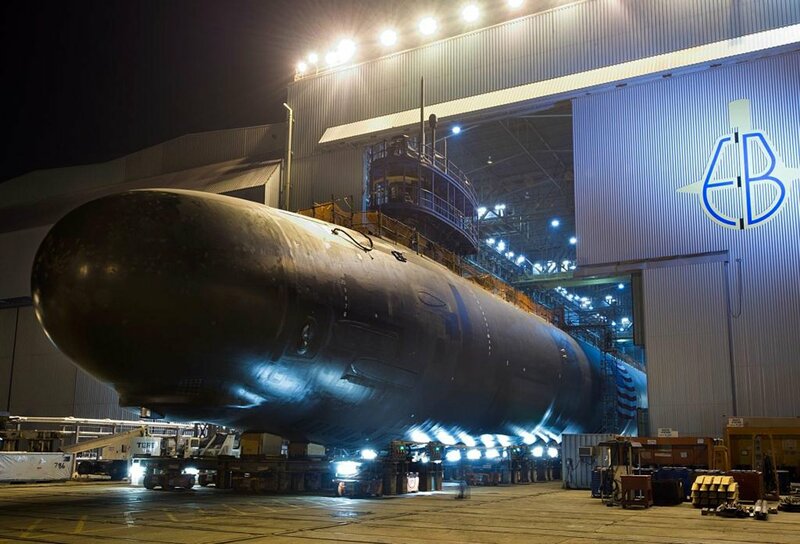 On the Virginia-class attack submarine program, HAC-D gave $21.9 million less than the nearly $2 billion requested for advance procurement. The subcommittee gave $136.8 million less than the Navy’s request for its Arleigh Burke-class destroyers, providing $3 billion. Similarly, it trimmed $9.6 million from the Littoral Combat Ship request, providing the Navy with $1.3 billion for three ships. HAC-D did not allot any funding to accelerate the LX(R) amphibious dock landing ship replacement program, whereas the House and Senate armed services committee supported speeding up the program by two years by giving research and development and advance procurement funding in FY 2016. However, the subcommittee added in $635 million for the Afloat Forward Staging Base program. The Navy did not request any funding for this program in FY 2016, and HASC authorized $97 million to begin working on a third AFSB. In strong contrast to the armed services committees, HAC-D included in its bill, “none of the funds provided in this or any other Act may be transferred to the National Sea Based Deterrent Fund,” which Congress created to help fund the Ohio Replacement Program. HASC expanded the program this year, allowing the Defense Secretary to add funding in from anywhere in the Defense Department budget in reprogramming requests. The Senate Armed Services Committee inserted additional funding into the FY 2016 shipbuilding account to get ahead of future-years shipbuilding needs now, to reduce the financial hardship ORP will cause in a few years. In the Navy’s aircraft account, HAC-D funded five F/A-18 E/F Super Hornets and seven EA-18G Growlers, which the Navy did not request. HASC supported 12 Super Hornets in its bill. Boeing builds both jets, which are largely the same design, so both scenarios give Boeing 12 aircraft to build in FY 2016. Their uses would vary greatly, though. The Navy needs more Super Hornets, as its legacy Hornet fleet is burning service life faster than expected – partly due to a higher-than-anticipated rate of operations, and partly because legacy fighters are serving as tankers on aircraft carriers. Navy leadership has said it has enough Growlers to meet its own electronic attack needs but would like more to meet joint service requirements. The subcommittee will meet Wednesday to mark up its bill in a closed session.